Returning to our old stomping ground for another long weekend Sunday session across The Garden, The Blue Flamingo, Babushka Leederville Tiny Club & Stage and Bill's Bar and Bites. 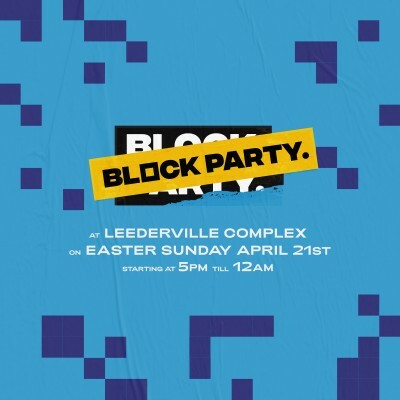 Sunday 21st April, 5pm - 12am. Your usual Block Party favourites holding down the five stages from 5pm. Celebrating? Contact us for special treatment. On sale Tuesday 26th March, 6pm via Megatix.